Kanta Murali is an Assistant Professor of Political Science at the University of Toronto. Her research interests include comparative political economy of development, Indian politics, politics of growth and economic policy, state-business relations and labor policy. 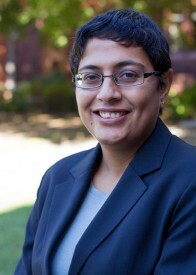 Her Ph.D. dissertation (“Economic Liberalization, Electoral Coalitions and Private Investment in India”) at Princeton University aims to understand the political conditions favourable to growth-oriented policies in poor democracies by focusing on a specific empirical puzzle related to India. It examines sub-national policy variation in the competition for private investment in India after the country undertook market reforms in 1991 and analyzes the political factors behind why some subnational governments have been more pro-active in undertaking investment promotion policies than their counterparts. Other projects include “Development, Democratization and Democratic Deepening” (with Noam Lupu).